June 26th marked the end of the Round Robin stage, and we saw the World’s best teams crash out early while seeing other teams fight their way to the next round. There is no easy path to winning the World Cup, and we’re in for a treat for the next 16 games. 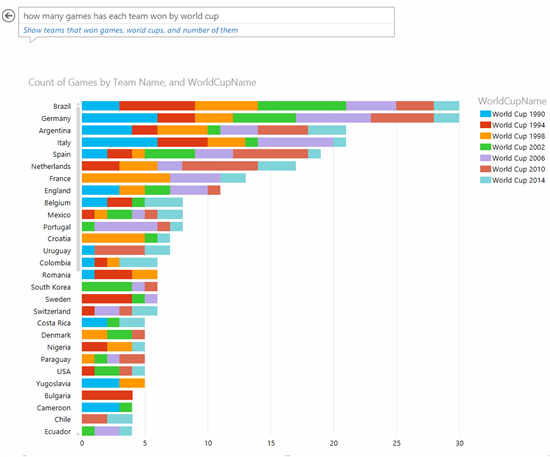 But, how did the 2014 Group Stage games compare with previous World Cups and could we potentially use these as an indicator for the games to come? 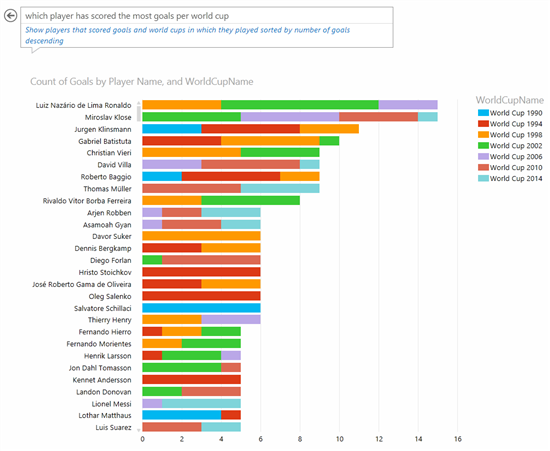 PowerBI Q&A investigates and highlights key statistics surrounding World Cup’s most popular facts: goals, cards, and game performance. Key insights: From the top 5 most winningest teams, Italy and Spain suffered an unfortunate fate. However, they have had similar performances before—Italy in 2002 and Spain in 1998. Their premature exit from the tournament is balanced by a bulk of the middle-tier teams doing really well (ex. Belgium, Colombia, Mexico, Switzerland, Costa Rica, etc.). Key insight: Taking a look at the club teams that Spanish players play for, we see that all of them play for the best teams in the world. All of these club teams play an average of 45-50 games a year so when the World Cup starts, they are not mentally or physically prepared. Also, this graph points out that there isn’t necessarily a correlation between playing for the same club team (or same league) for the entire year and World Cup performance. 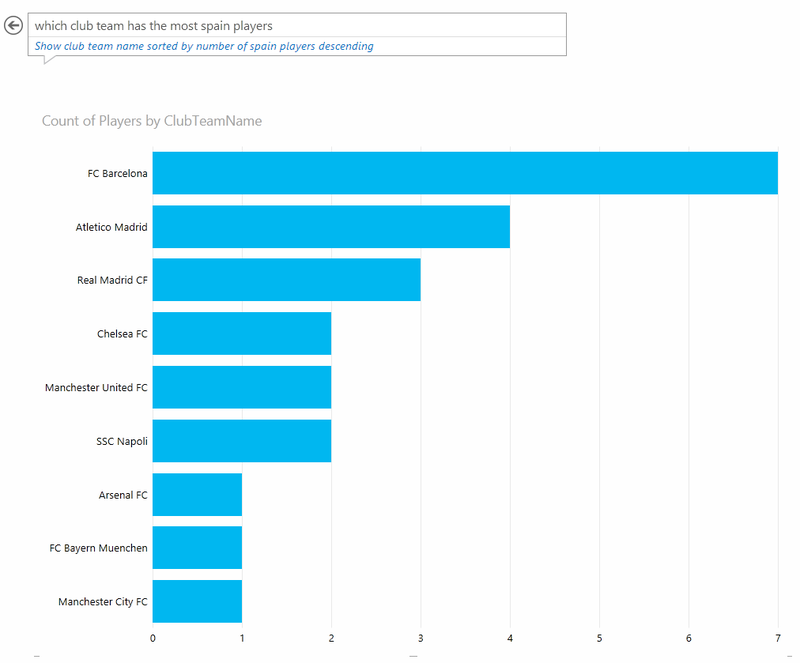 The Guardian did a great post on this as well using a complete data set from FIFA to show national team performance based on club teams. Key Insight: Scoring a lot of goals helps leading to victory, but at the end of the day, you have to stay consistent and win. Taking a look at Belgium and Croatia, they both scored 4 goals, but Croatia scored all those 4 goals in 1 game. Although Belgium didn’t score many goals, they won every game. 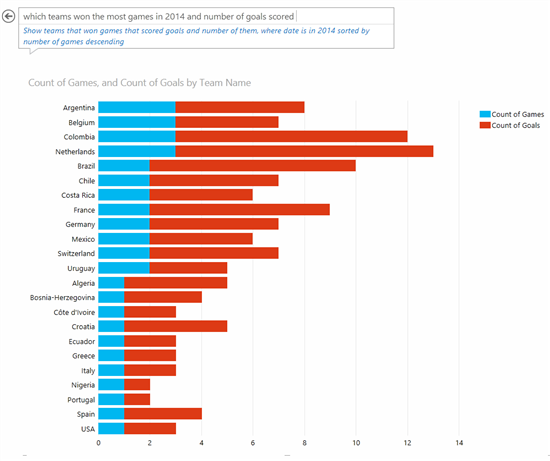 One question I have looking at this graph is, can Colombia continue their perfect form? Key Insight: This year, compared to other World Cups, has been one of goals, not cards. 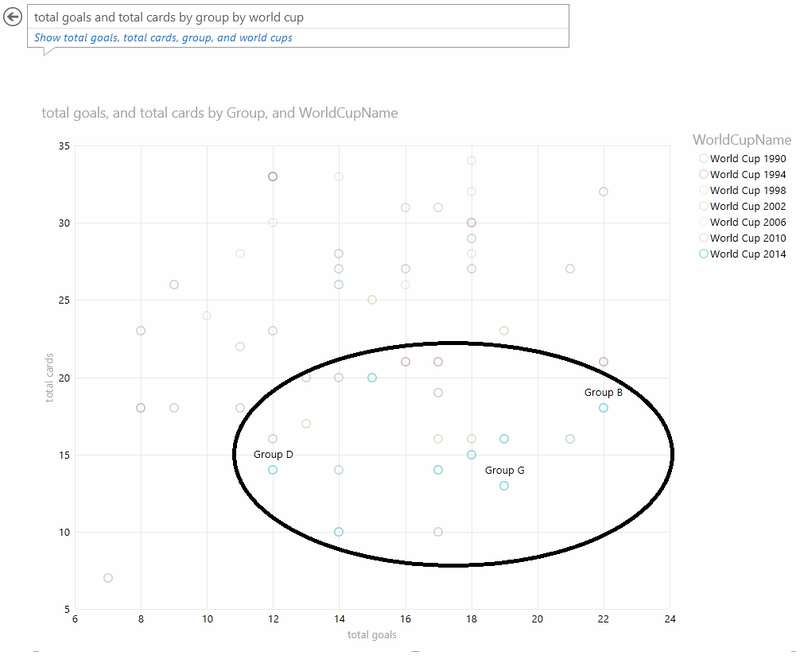 Key Insight: Adding to the insight found from the above picture, this clearly has been a World Cup of goals, not cards. Key Insight: Longevity has helped Miroslav Klose tie the record for most goals scored (he has played in 4 world cups as opposed to Ronaldo’s 3). Also, Messi may be the best player in the world, but he isn’t yet the best in Argentina. Gabriel Batistuta has the most goals for Argentina, and Messi needs to continue his form this year. Thomas Muller, last year’s top goal scorer, is proving to be a consistently lethal threat. 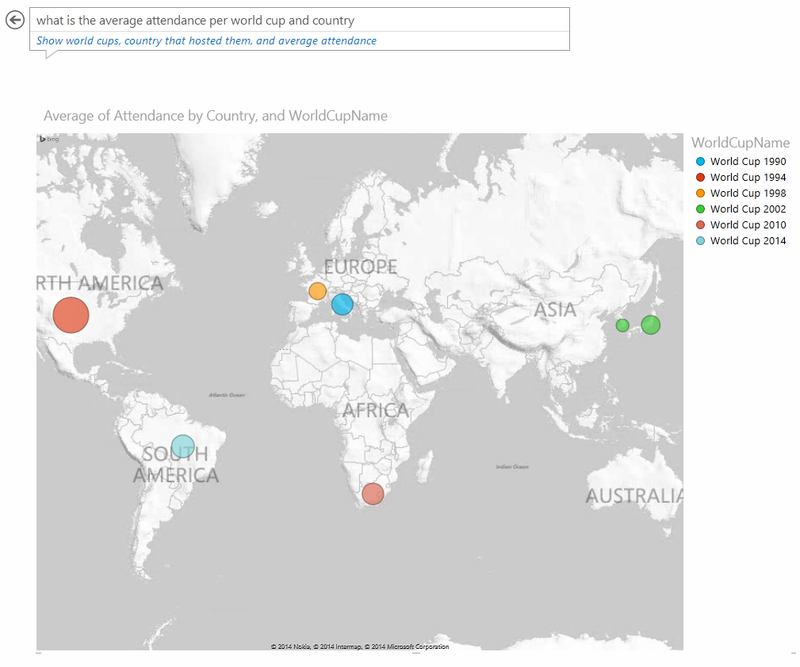 Key Insight: Although the United States held the World Cup in 1994, it still is today the highest attended World Cup. Due to existing infrastructure, USA has potential to host another World Cup. Maybe FIFA can make 2026 in the US. 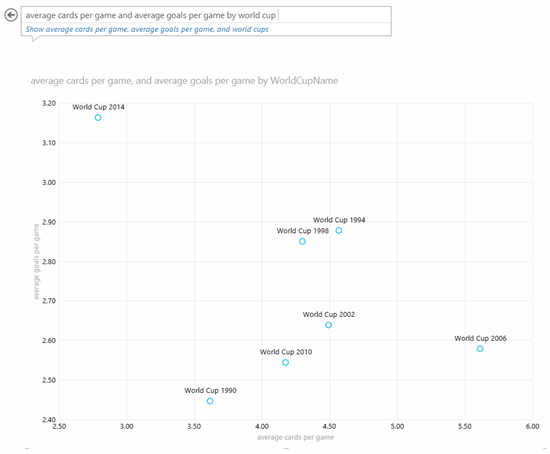 *Note: Data is provided by Opta Sports and this documents 1990-2014 statistics.